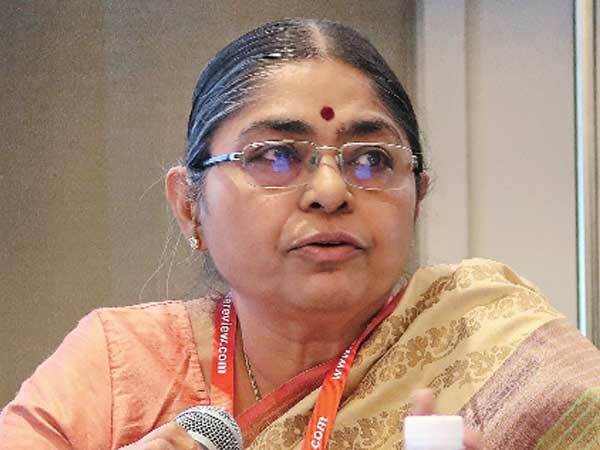 TL Alamelu (in pic), chairman and managing director (CMD) of Agriculture Insurance Company, is likely to be appointed member (non-life) of the Insurance Regulatory and Development Authority of India (Irdai) in place of PJ Joseph, who retired on January 13. Over ten candidates, including two serving CMDs from the public sector general insurance industry, are believed to be interviewed by the Financial Sector Regulatory Appointments Search Committee, or FSRAC, headed by cabinet secretary PK Sinha in New Delhi on January 16. Other members on the select panel also include Irdai chairman Subhash Khuntia, department of financial services (DFS) secretary Rajiv Kumar and department of personnel & training secretary BP Sharma. “Out of 10 candidates short-listed for the Irdai member, the name of Alamelu is considered to be as one of the strongest candidates for the post. Besides her, the name of Oriental Insurance Company CMD AV Girija Kumar is doing the rounds as the second contender for the post,”a top finance ministry source told Financial Chronicle. The post fell vacant after PJ Joseph retired on reaching 62 years of age and completing his almost three-year tenure at the insurance regulator. “Further, it is to be mentioned that the incumbent to the post, who retired on January 13, has also served as CMD of AIC before joining at Irdai,” the source said. Initially the government had fixed the interview date on January 10, but it was postponed to January 16. “The select panel has postponed the date for selection of Irdai member (non-life)…for the non-availability of some of the panellists for the earlier day,” the source said. Among those who have applied for the post are AV Girija Kumar, CMD, Oriental Insurance Company, Siddarth Pradhan, director & general manager, National Insurance Company, John Pulliantham, general manager & director, NIC, C Narambunathan, director & general manager, New India Assurance (NIA), SN Rajeswari, general manager, NIA, George E Thomas, professor Insurance Institute of India. “Besides, Suresh Mathur (ED) and Randeep Singh (senior joint director) from Irdai have also reportedly applied for the coveted post,” said the source.